With full-color illustrations and two narrated and enhanced read-along CDs, this special deluxe edition of The Beginner's Bible brings God's Word to life for children in a way like never before. Beginners Bible Deluxe Edition by Kelly Pulley was published by Zondervan in March 2011 and is our 36504th best seller. The ISBN for Beginners Bible Deluxe Edition is 9780310725886. 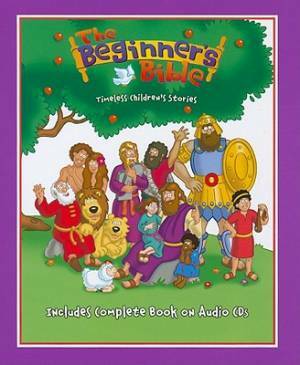 Be the first to review Beginners Bible Deluxe Edition! Got a question? No problem! Just click here to ask us about Beginners Bible Deluxe Edition.